If you are selling a motor vehicle or a used car, you will need a Car Dealer Bill of Sale form to complete the paperwork for the transaction. A car dealer bill of sale is important for any car sales especially used car between private seller and buyer. This is because it serves as an agreement between the seller and the buyer. 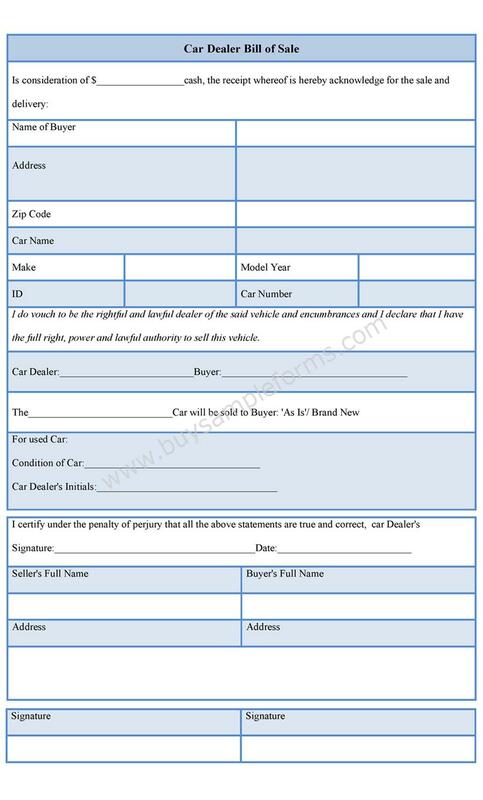 This form is used to gather necessary information when you sell your car .The format includes details about the car sold such as the model of the car, make, year of manufacture, the down payment received by the seller etc. 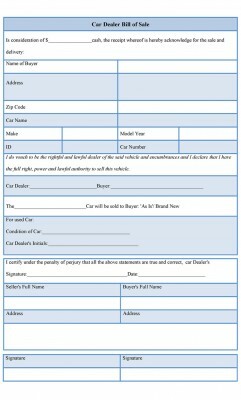 Below is a sample of Car Dealer Bill of Sale form. 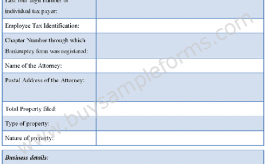 The sample Car Dealer Bill of Sale template is available online in both MS Word and PDF format. Both MS Word and PDF format allows you to edit and customize according to your requirement. Just download the forms and fill out appropriate information fields. 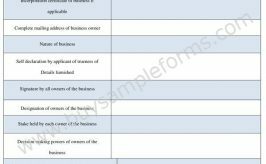 The purpose of the dealer bill of sale is to have documentation of the sale that took place.